The Vice-President, Prof. Yemi Osinbajo, says the Federal Government is training over 3,000 young people in 3D and 2D animation, story boarding skills, script writing among others. 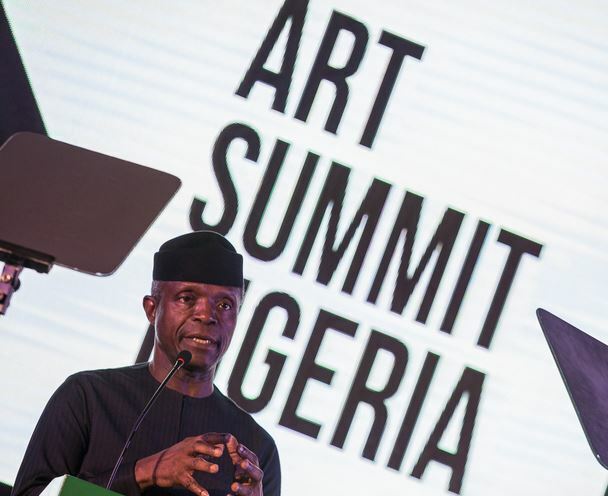 Osinbajo disclosed this on Tuesday while declaring open the inaugural edition of The Art Summit holding at the Harbor Point, Victoria Island, Lagos. The vice-president lauded the convener, Denrele Sonariwo, who he described as ever hard-working and forward-looking. According to him, the summit has the task of re-imagining the Nigerian art scene. He said that the Federal Government was committed to empowering young people through technology and arts. He said “The Bank of Industry (BOI) in response to the direction set by the government had launched a N10 billion tech fund. “We believe that like technology entertainment and the arts require active support, especially in the development of policies as we engage uncharted territory in the coming years. He said that Lagos was fast becoming the creative capital of Africa, adding that he was also in the city the previous week for the Ake Book and Arts Festival. According to him, everything seen; every piece of art, every technology, every architectural achievement and the iconic bridges first existed in the imagination of someone somewhere. Osinbajo said that Nigeria was having exciting times, sounds, paintings, films and stories, fashion and ideas were catching the global imagination in unprecedented ways. “Everyone is catching the Nigerian bug. Even the Nigerian wedding is emerging as some form of popular culture. “In the same way that the world’s imagination was once caught by oriental art, the tide is rising for Nigeria. So what do we do at a time like this? “We must reflect as this summit calls us to do. But we must also deal with the complex issues of putting in place the infrastructure for enabling the creative industry function effectively now and especially in the future. “In the past two years I have engaged actively with the creative industry,” he said. He said that one of the key results of his engagement in the creative industry was the inauguration of the Technology and Creativity advisory Group as part of the larger Industrial Advisory Competitiveness Council. According to him, the group brings together representatives from the technology and creative industries, with relevant government ministers and heads of agencies as part of a high- level body, which he chairs. He said that the focus of the advisory committee was to work on policies, rules and even legislation for both the creative and technology industries. “We have had several useful meetings and the Society of Nigerian Artists is represented. “You have to be at the policy table when the future of your industry is being discussed. “I am personally committed to working on these issues. And now is the time with the incredible advances in technology, museums have become immersive experiences. “The other day I saw a video of the new interactive digital art museum recently opened in Tokyo. “ All of that is entirely conceivable and doable here. And seeing some of the technology facilitated works a few minutes ago brings that home,’’ he said. 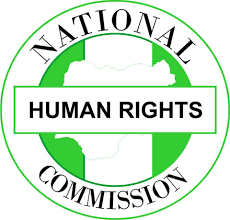 He said government was investing substantially in technology as it partnered with local and international tech companies and innovators, in the building of tech hubs and promoting innovation. Osinbajo said that the aim was to completely democratise access to and support for innovation and cyber commerce and create jobs.